Well, the day has finally come. 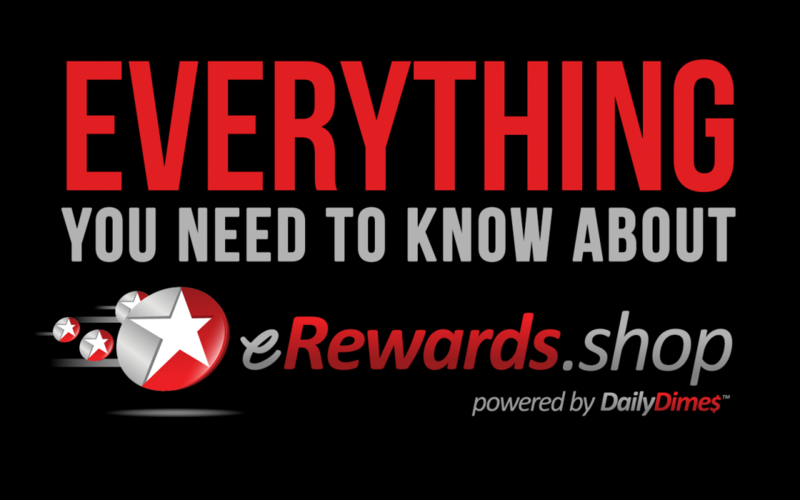 eRewards.shop has officially launched! This new web site conveniently combines multiple 5LINX branded products and services into a single unified shopping experience. Most notably, it is now your (and your customers’) one-stop-shop for Montavida coffee and tea, TeeVee boxes, the OXZGEN line of CBD products, and CaptaVida. First of all, the site has been integrated fully with Daily Dimes, which means you and your customers will earn Rewards Points automatically on all purchases (including ongoing subscriptions). These accumulated Rewards Points can then be redeemed for discounts on future orders. Secondly, the site has been built to support different pricing tiers for products, providing 5LINX representatives greater flexibility, and creating an entirely new income stream. By default, the site presents our already-low regular retail pricing. If you sell products at these prices you will earn a new “Residual Bounty” equal to the difference between the sale price and a special Representative-only Wholesale price. Even better, you can also offer your customers a discounted “Preferred” price, and still earn a Residual Bounty based on the difference between Preferred and Wholesale. This is an incredibly exciting announcement with huge impact on your 5LINX business. In the interest of preventing any confusion, however, we’ve come up with a quick Q&A that will hopefully answer any questions you may have about this new platform. Why are we offering different prices for the same products? Tiered pricing allows you to better control your income within the 5LINX Compensation Plan. By offering your customers either a Preferred or Retail price, you can decide exactly how much commission you wish to make on each sale. That’s because you will earn the entire difference between the price you sell at and the Wholesale price of the product. For example, if the rep-only Wholesale price of an OXZGEN product is $50 and you sell it to a customer for the Preferred price of $60, you will earn the entire $10 difference. If you sell that same product for the $70 Retail price, you will earn the entire $20 difference between the $70 and the $50. This is a “Residual Bounty” that you will receive every month. You will also earn the percentage of the CV for that product based on your earned position. What price is the Commission Value (CV) based on? The CV for products based on the Wholesale Quantity-1 price, not the actual sales price. You will earn 100% of the price difference between the Wholesale Qty-1 price and the selling price (the “Residual Bounty”), PLUS you will still earn a percentage of the CV. So you’re earning two ways on every outside sale! Do I only earn the difference between Wholesale and selling price on the initial sale? No. You earn it every single month. That’s why we are calling this a “Residual Bounty”. How has the Commission Value (CV) payout on Products and Services changed? There will no longer be separate Tier 1 and Tier 2 CV payout schedules. For simplification purposes, we are collapsing these into a single CV payout schedule (the original Tier 1). Now that you can sell products for either a Preferred price or a Retail price—earning the entire difference between that price and the rep-only Wholesale price—you are positioned to earn significantly more income on product sales before even factoring in the percentage of CV. So this single unified CV payout schedule will be cleaner and easier to understand. Has the one-page Compensation Plan doc been updated to reflect these changes? How do these changes impact the Affiliate Program? Because we are eliminating the concept of Tier 1 vs Tier 2 products and services in favor of a single CV payout schedule, those tiers no longer define what an Affiliate can sell. Under the new structure, Affiliates can sell any product, but not services. They will not receive any percentage of the CV, but instead will earn the entire difference between the Wholesale (rep-only) price and the Preferred or Retail price. They would receive this differential (what we’re calling a “Residual Bounty”) every month on every customer. How do I buy products for myself at the rep-only Wholesale price? You will sell products to your customers at either the Preferred or full Retail price (your choice!). However, as a 5LINX Representative you have the additional benefit of purchasing your own products at a rep-only wholesale price. To access this special pricing you will simply validate your status by clicking on the “5LINX Rep” button at the top of the eRewards.shop home page (see image below) and entering your VO login credentials. How do I decide whether to offer my customers Retail or Preferred pricing? It is your choice whether to make any individual sale at Retail or Preferred pricing. Obviously you will earn a larger Residual Bounty if sold at Retail, but there are times you may wish to offer the best deal possible. When you wish to offer PREFERRED pricing, simply direct your prospect to eRewards.shop/<YOURRIN> and add a “P” at the end of the URL (ex: eRewards.shop/L100000P). Otherwise, just use the standard eRewards.shop/RIN referral URL and the customer will see the regular retail pricing. Can I offer my customers my special Wholesale pricing? No. Wholesale Quantity 1 pricing (as opposed to our bulk Wholesale Program) is an exclusive benefit for IMRs and Affiliates. But it’s a great reason for your customers to take a closer look at the business opportunity!